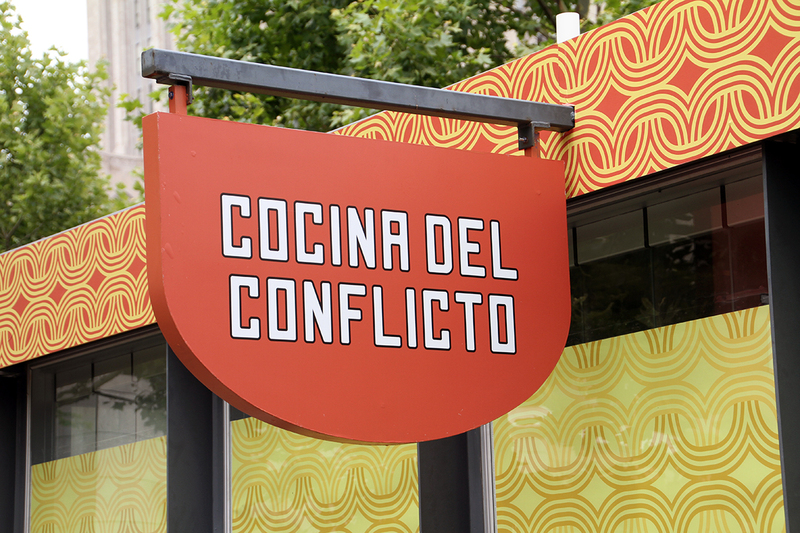 Conflict Kitchen chef Robert Sayre will be serving up delicious Cuban dinners at Bar Marco’s No Menu Mondays (this monday July 29th). 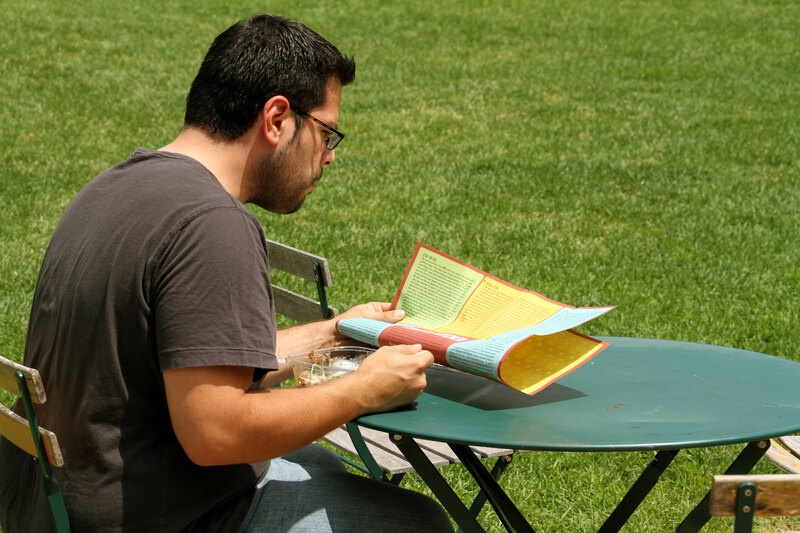 Read the interview with Robert in Bar Marco’s Union Hall Times. 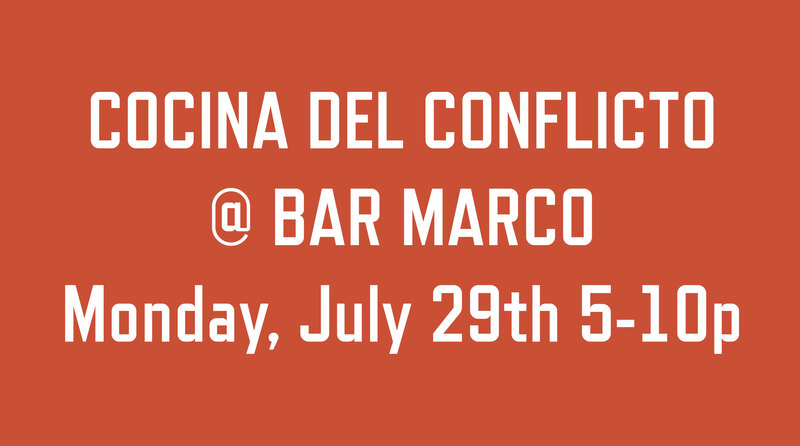 Come by this Monday July 29th between 5pm-10pm as our Chef Robert Sayre will be cooking up some delicious Cuban food for Bar Marco’s No Menu Monday. 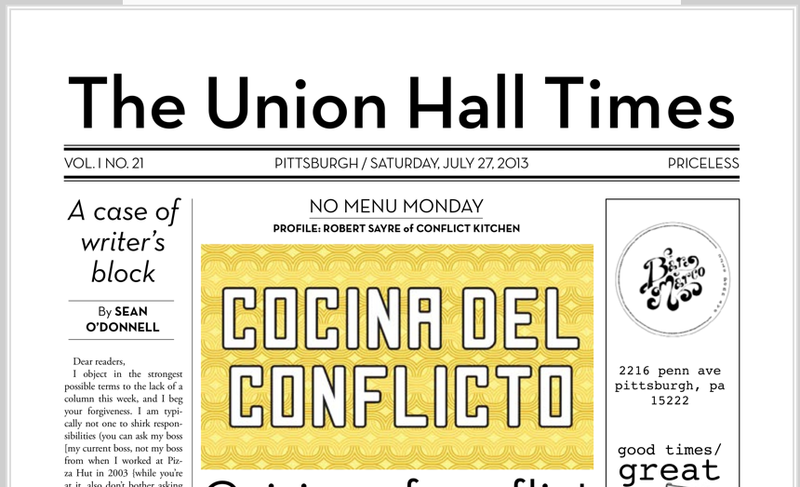 Also Pick up a copy of The Union Hall Times to see an interview with Robert. 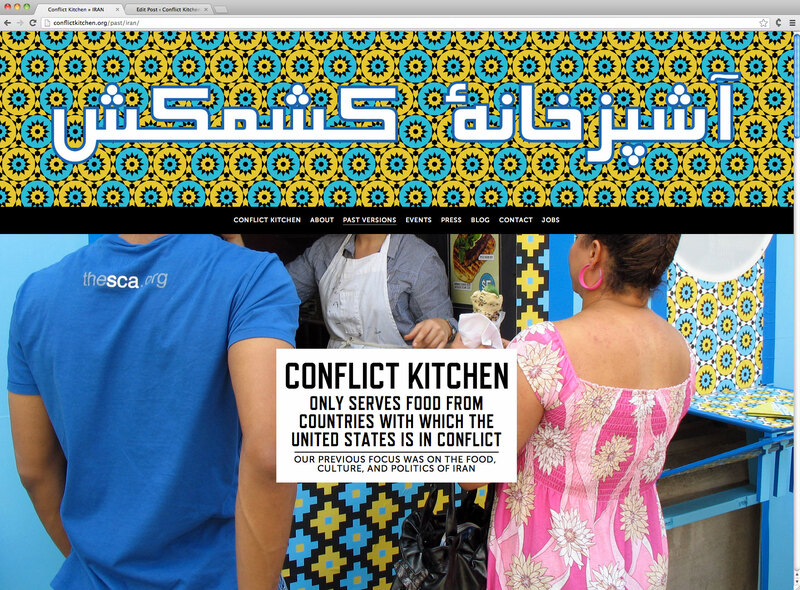 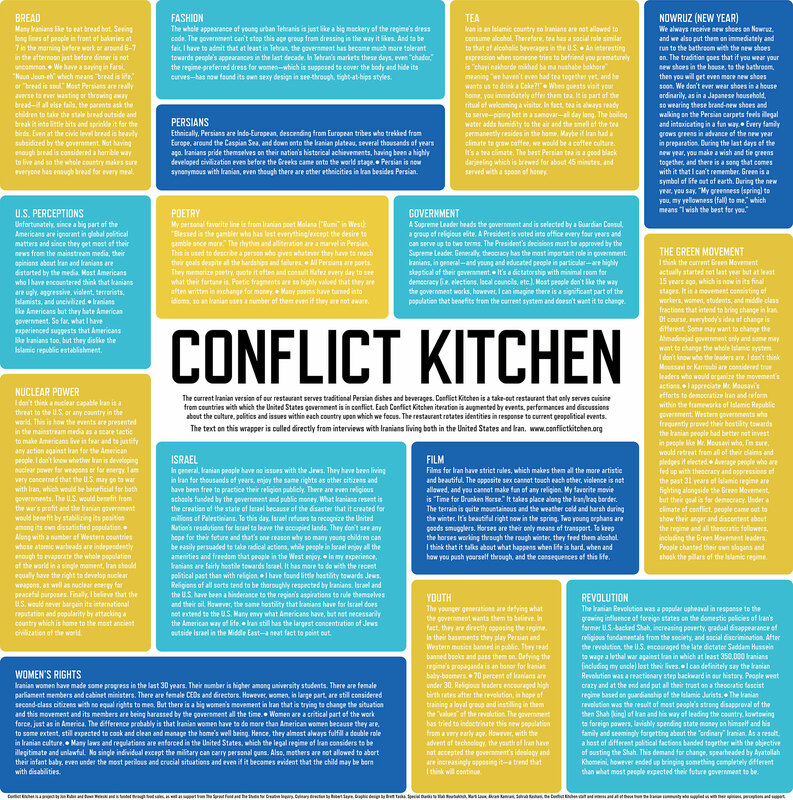 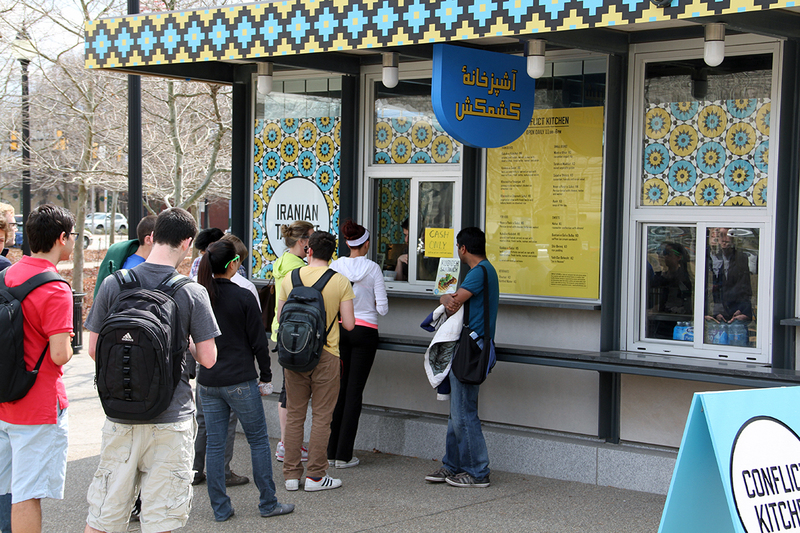 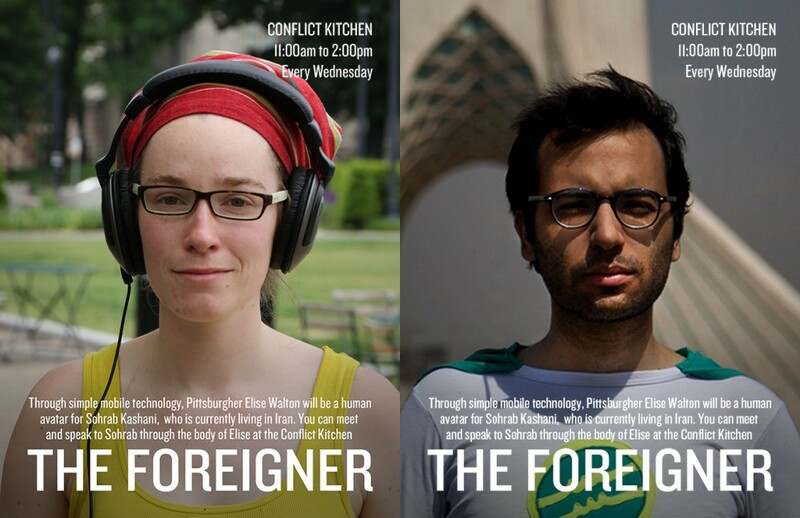 Conflict Kitchen Reopens in New Location!